Notice for parents and students using the lunch vendor program. By mutual agreement, our lunch provider will not be returning after the holiday break. 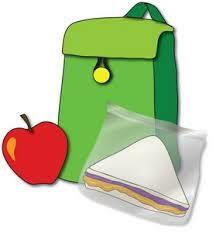 As a result, starting January 5, 2015, we ask you to provide your students with lunch and snacks brought from home. order deposit beyond 12/19/14, our food provider, G & A foods, will be in contact with you to make sure any deposits are refunded to you. We thank you for your patience and apologize for any inconvenience this may cause your family.